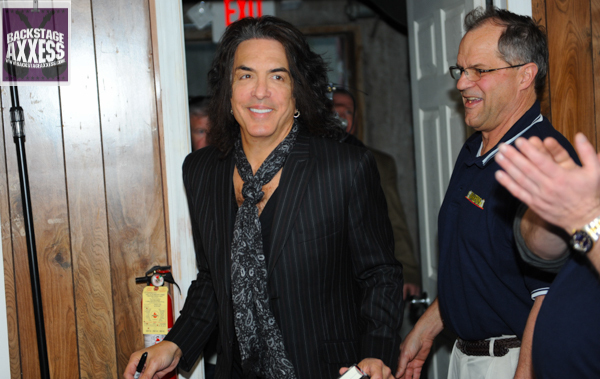 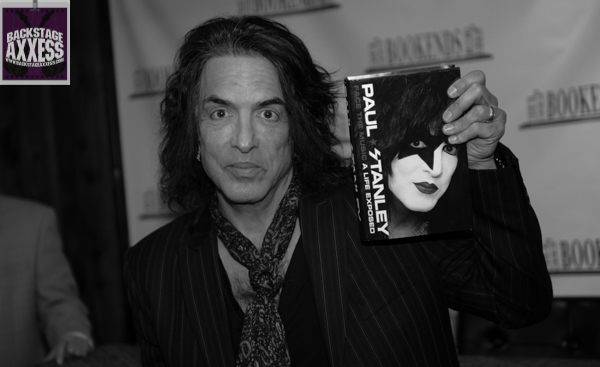 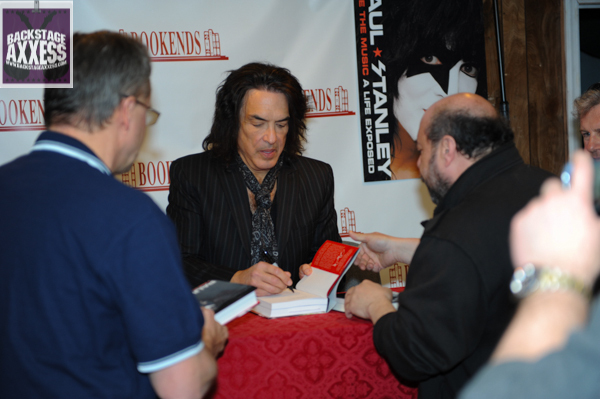 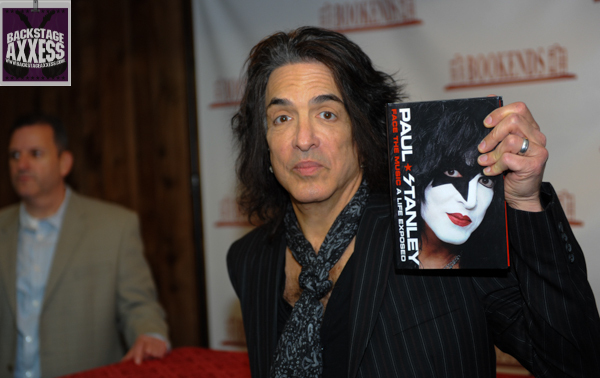 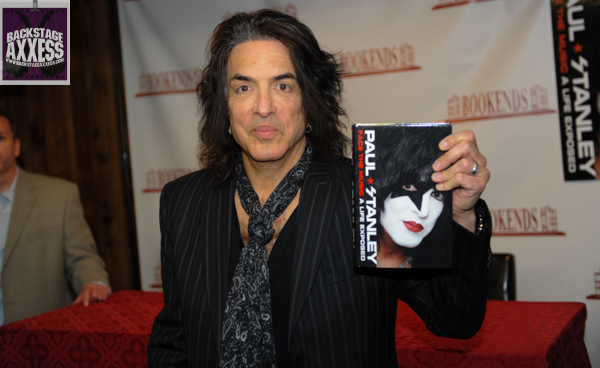 Paul Stanley is in the midst of a book signing for his autobiography ”Face the Music a A Life Exposed. 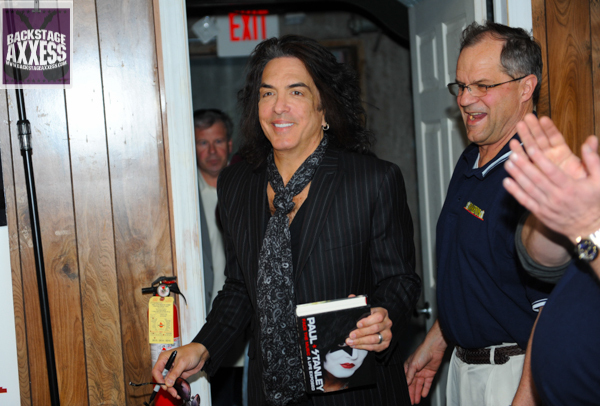 He stopped by Bookends in Ridgewood, NJ a day before his induction into the Rock and Roll Hall of Fame. 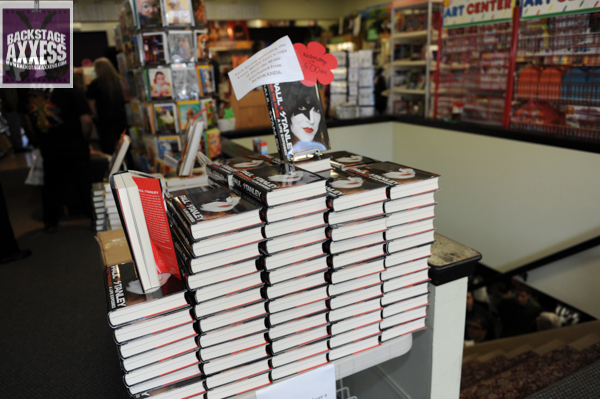 Stanley showed up well over an hour early to sign a whopping 500 pre sold books in Bookends back room. 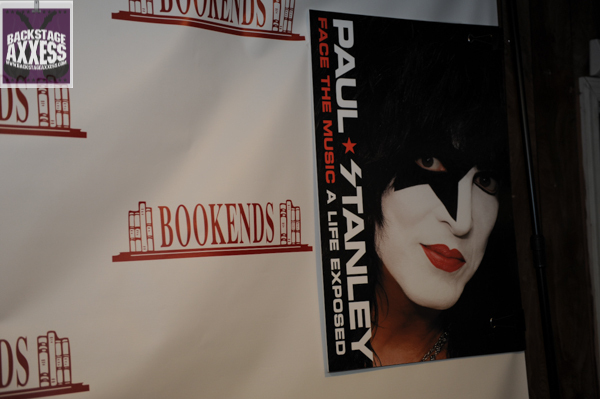 at 6pm sharp, Stanley came downstairs to pose for the media with the book for about 30 or so seconds before diving right into the signing. 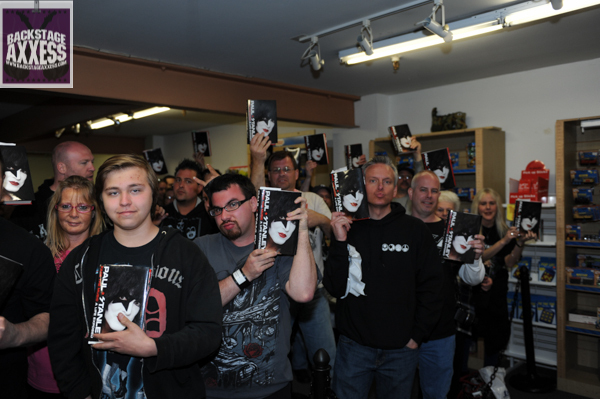 People started lining up at 5am. 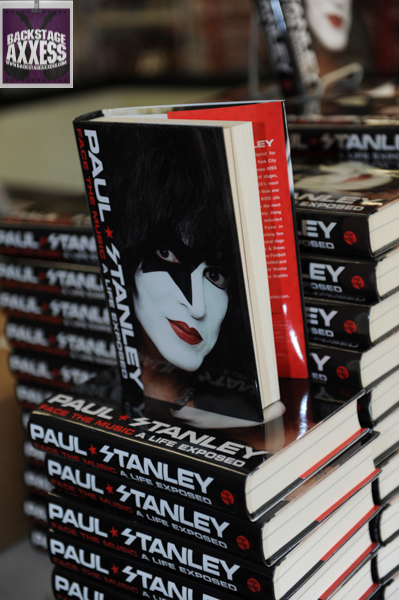 For about 3 hours, Stanley signed another 600 books and did a quick pose with book purchasers. 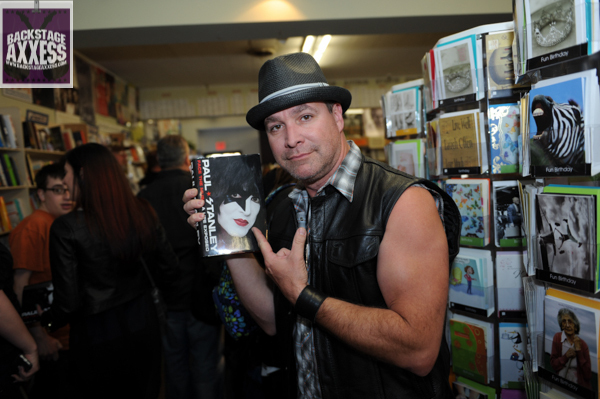 We even got his guitar tech Francis Steuber to pose with the book.